The Hydrographic Academy (HA) project has worked to develop and trial a methodology for collaborative working between industry and academia. The workforce in the offshore survey and engineering industry are limited in their opportunities to engage with the higher education sector by the nature of their extended deployments offshore. The high salaries and staff costs associated with this industry mean that release of personnel to study full time is seldom advantageous to the individual or the employer. For some time, there has been an unfulfilled demand in this industry for an educational solution which enables the workforce to develop and enhance their qualifications, including the opportunity to gain professional body recognition. 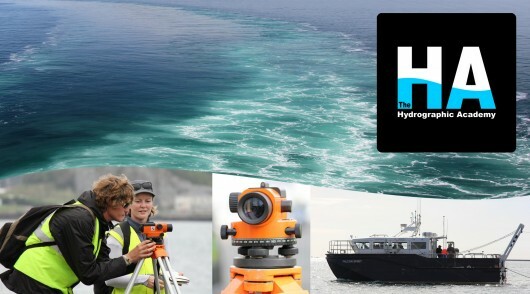 Funded by the South West Spoke of the National HE STEM programme, the Hydrographic Academy has worked with Fugro (the world’s largest supplier of geoscience, survey and geotechnical related services) and the Royal Navy to develop an academic solution to meet the needs of the workforce in the offshore survey industry. An introductory 10 academic credit module was developed and trialled with a group of 12 students. 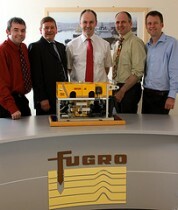 These were employees provided by Fugro, as a representative sample of the likely student demographic. Teaching and learning materials were assembled into a Total Learning Package (TLP), stored on a USB memory stick, and mailed to the students. The TLP contained all the virtual lectures and supporting materials, whilst the TKP interface provided a seamless integration with online content when an internet connection was available. Tutor support and a peer-to-peer discussion area was also offered to all learners. Results from this student trial indicate that limited internet access was an issue for the majority, with many also finding difficulties with fitting study (even on a part time distance learning basis) around their work commitments. Overall, however, the project was an outstanding success, with positive qualitative and quantitative feedback from the student trial, the industrial partner and the academic institution. Key lessons learned from the study are that the investment from HE STEM has been critical in allowing the project to get underway and prove the concept. The importance of engagement with the professional bodies is highlighted, as is the value of having an industrial partner’s assistance and support.